First, thank you with all my heart for the flood of emails, texts, calls, posts, and chats that have blown up my phone and computer in the last 72 hours. It’s true that the darkest moments show us the brightest things – the world has never felt smaller to me than it did this weekend, chatting with people I love in Nepal with one hand while answering emails about them with the other. Everybody is okay, and I was/am in Connecticut for six weeks. Everybody’s been sleeping outdoors for fear of aftershocks, one of our students lost his house, and there is some damage in our working areas–but we were mostly spared because the earthquake moved east. Had it moved west, Pokhara and Kaskikot would be rubble, as we were just 50 miles from the epicenter. Tons of people have asked how they can help. After days of looking into this, it’s clear there are a million conflicting answers amid widespread caution; disasters of this nature cause huge sums of money to be suddenly poured in to a poor country with corrupt public systems and an overzealous, wealthy international aid machine. Terrible precedents in Haiti and other places, strong opinions that the punditry is already debating on the news…. We have to start someplace, so here’s the advice I’ve settled on. There are two types of donating: a large relief agency, and something more closely related to your area of interest or personal connection to a place or organization. These roughly correlate to massive crisis relief vs. community recovery, as well. 1. MASSIVE AID: If you are most comfortable giving to a large, well-recognized agency, there are recommendations in the links below. The up side is these organizations play an essential role in crisis relief, and their financial pluses and minuses are known. The down side is that they get saturated with more donations than they can spend on the specific crisis in question, and these agencies are not good mechanisms for long-term recovery. That said, Nepal couldn’t possibly deal with the immediate disaster on its hands without their involvement, and the same will be true of the next disaster, if that’s where your dollar technically lands. I’d also suggest the Nepal Red Cross Society as these funds will at least stay in Nepal (http://www.nrcs.org – this link doesn’t work in Safari, that’s Nepal for you), or Doctors Without Borders (http://bit.ly/1pf6vN4) in the hope they’ll be quicker to get out to neglected rural areas. 2. COMMUNITY-BASED RECOVERY: It is going to take many years to rebuild, and smaller, local organizations with experience in grassroots organizing and sustainable community work will play an essential role because of their nuanced knowledge, experience, and granular infrastructure. The challenge here – and I will be the bad guy who says this now – is that nobody knows exactly what will be required of them yet. I’ve been in contact with many of my friends who have long standing connections and expertise in Nepal, and we’re all grappling with the same problem, trying to figure out where we can best apply our efforts. But the truth is that everything is unknown. It has only been three days and people are currently sleeping in the rain with dwindling food supplies. Here is a short, poignant article that talks about how hard-to-reach areas have already been widely neglected by both aid and the media – because, well, they are harder to reach – but how badly they will be needed to avoid another Haiti fiasco. I wish this could be on the cover of every major newspaper. As my friend Prashant said, “Laura, I can’t see with my fingers or eat with my knees. We each have to do the thing we’re suited for.” So in that vein, please don’t take this as pressure to contribute to Eva Nepal’s recovery fund specifically – the point is to choose something and pitch in. Since I find myself among a tiny minority of Americans with a long-standing personal connection to this country and its people, that’s what I’m going to start with. I simply know my area and its ecosystem better than I know other things about this colossal situation. https://evanepal.secure.nonprofitsoapbox.com/earthquake-donateObviously, I would be extremely grateful if you would share this with people asking you where to donate. do nothing. The scale of devastation in Nepal is staggering. When I think about being in New Orleans eight months after Hurricane Katrina and the inside-out buildings that were still piled up on the streets, I can’t even fathom how Nepal with its underlying poverty and challenging terrain is going to rebuild without a lot of help. Please pick something and pitch in. I will leave you with a thought from the article I linked above, that helped me put the storm of the last few days in to perspective as they relate to me, one person with a tiny mud and stone home in Nepal that I love dearly. Far away from Mt. Everest’s glamorous peak…villagers are reeling from injuries, death and the destruction of already precarious livelihoods on a massive scale. One villager told us that although his family and many others were unharmed, his home of mud and stone, like the entire village, was a pile of rubble. 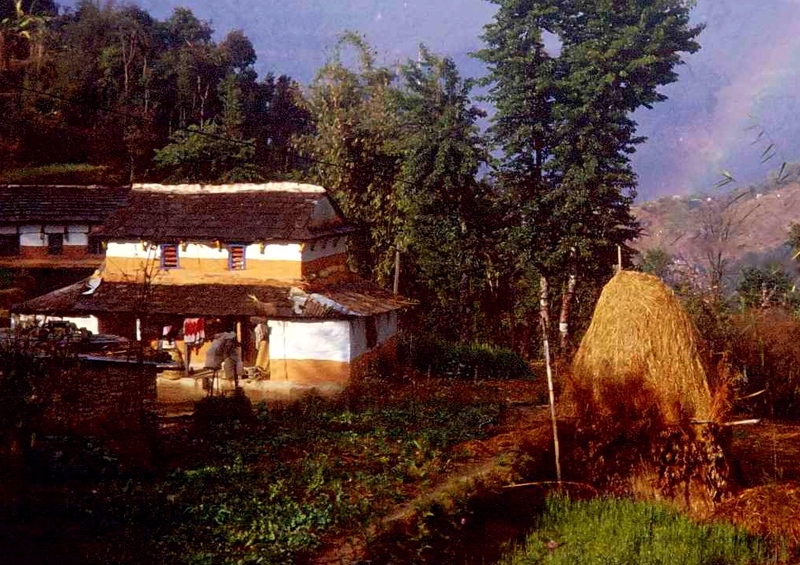 For many of the rural poor, a two-story home is a most prized asset. 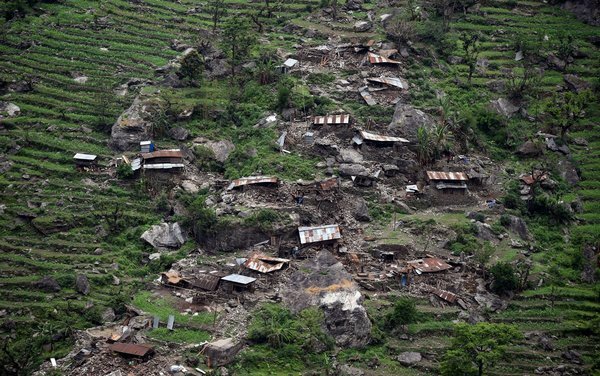 While their plight may not make the international headlines, rural Nepalis across the country will need long-term support to rebuild their lives. Laura and all of us.